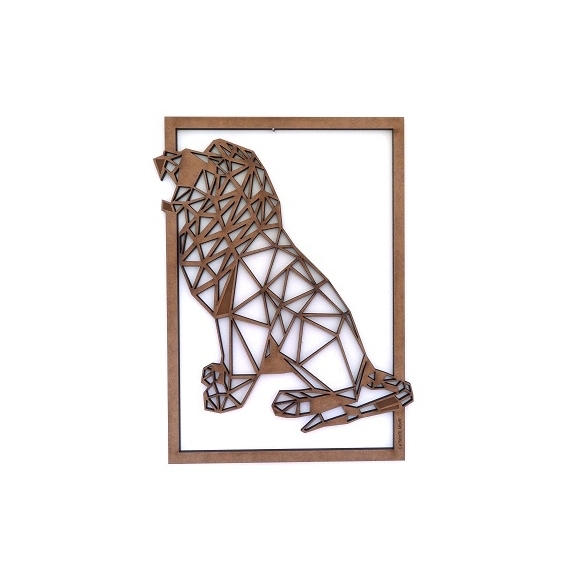 A lion design entirely made of wood ! The size of this wooden frame is 42.3cm x 56.6cm. Worldwide shipping for this modern decoration. 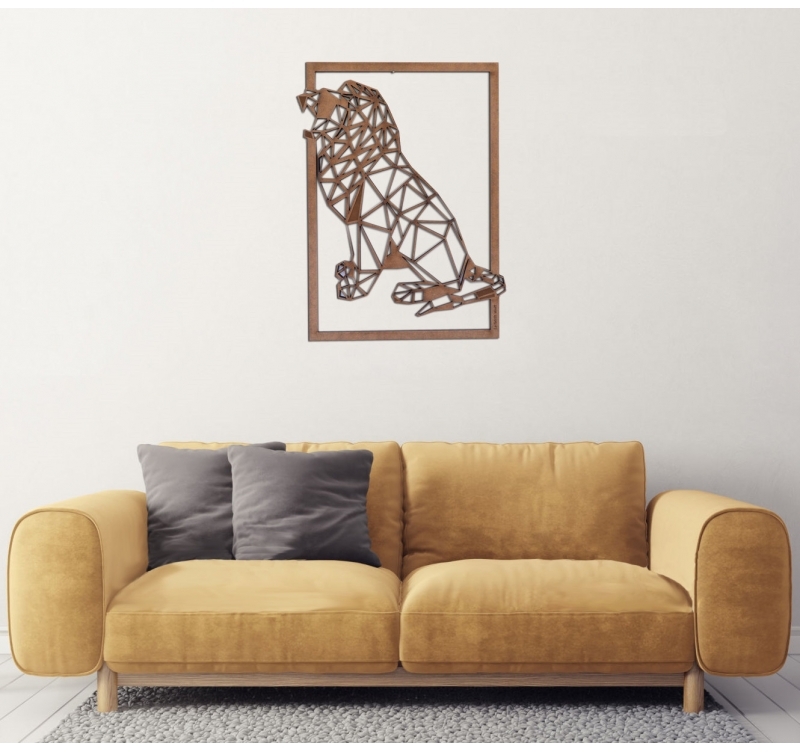 Sitting on its hind legs, the roaring lion sits his kingship with an imposing look on a very geometrical wall decoration. 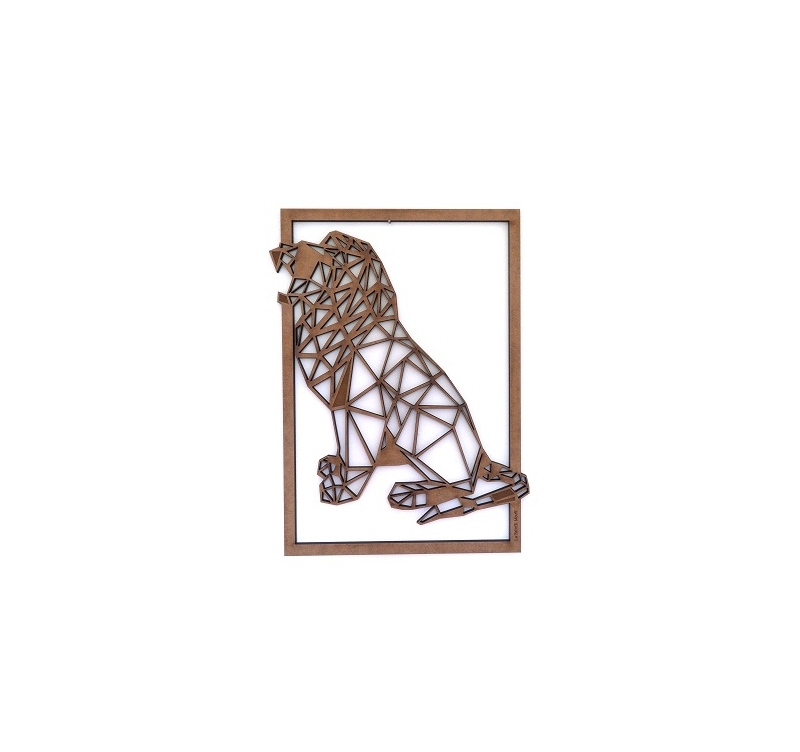 Different polygons that form an icon of the animal world in full roar. The gaping mouth of the most prestigious cat lets guess sharp fangs. This wall decoration with a wooden frame ensures a striking spectacle thanks to a classic scene diverted by the designers of Artwall and Co. This frame is made of medium wood by our artists and is available in natural and black color. It is possible that traces of heating are present on the back of the decoration because of the cut.